Every now and then in life, you have one of those moments where you look around and everything is right and it suddenly dawns on you that you are EXACTLY where you're supposed to be. 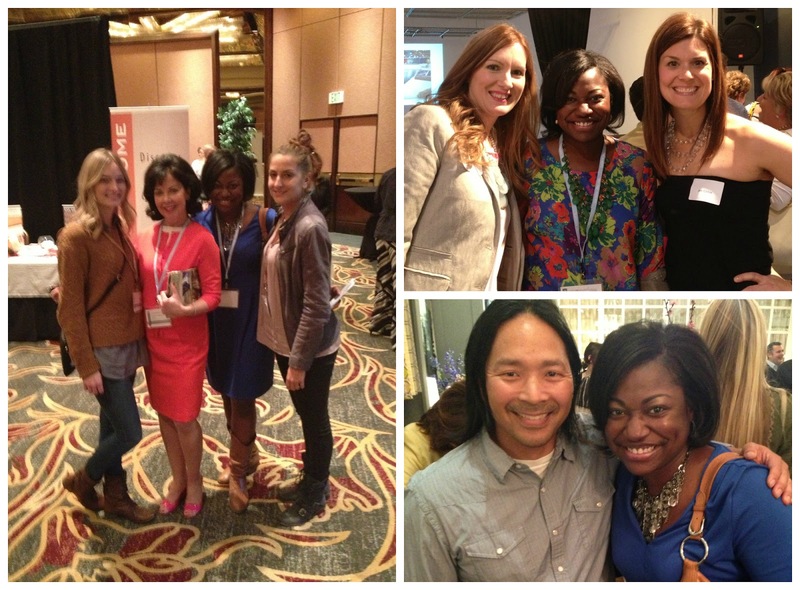 Last week, that happened for me at the 2013 Design Bloggers Conference. I'm not sure whether it was the Los Angeles sun, the company of renowned design bloggers or the wonderfully inspirational guest speakers, but something about this conference deeply moved me in a way that I was not expecting. I was so inspired and encouraged that the experience was almost spiritual. I know that sounds strange to say about a design conference, but that's exactly how felt. First, I must confess that I had some serious reservations about even attending. I've admitted before that I'm a little (ok, a lot) insecure in the design world. For starters I'm a newbie and then to go all the way to LA by myself with such big names in the blogosphere was a little (ok, a lot) scary. But I got over it and went anyway. Boy, am I glad I did. Honestly, I've been trying to wrap my head around writing a blog post to sum it all up since last Thursday. But, it didn't take long to realize that it was probably best to just let it all marinate for a few days before attempting to do so. There's far too much to tell to include it in a single post, so I'm going to break it into two; content and connections. Needless to say the best thing about the conference was the networking. That's not to say that the program line-up wasn't spectacular, but there is just nothing better than being surrounded by a lively room full of people who speak the same language as you. It was so great getting to meet bloggers that I've connected with on social media, but had never actually met face to face. realized we have more than a few connections including TSU and Mississippi. We connected over Twitter and Instagram. She's not only a talented designer with a new line of chairs, but a practicing Pharmacist in TX. Love that! 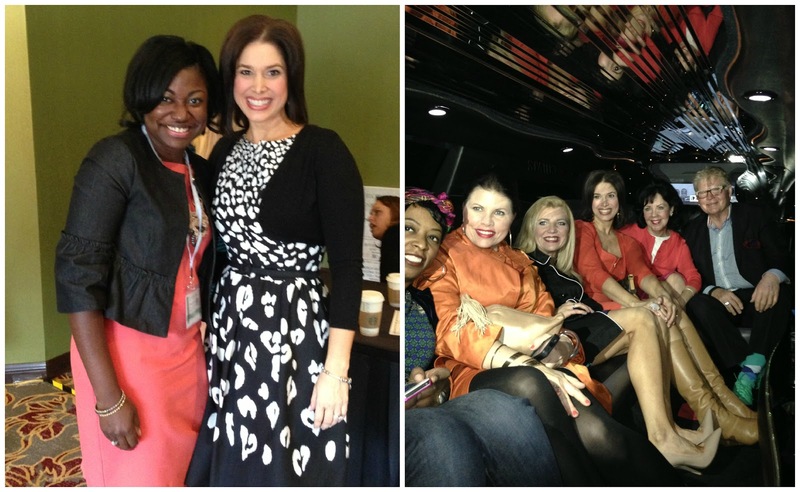 I met bloggers that I admire from afar. If you follow me on Twitter/Facebook you know that prior to the conference I declared that I wasn't leaving LA until I met designer extraordinaire Tobi Fairley. Well, I did!! Not only did I meet her, I rode in a limo with her. I know, right! 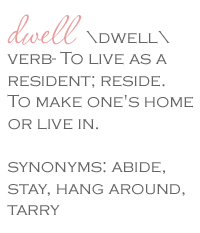 You may recall me blogging about the fabulous ladies of Dwell with Dignity. I met them too! Well, I actually hunted them down. So exciting!!! I also met some fabulous new friends. We had a connection from day one. Super nice lady and fellow budget designer. These super fly girls let me hang out with them. So sweet and super chic! I even met a celebrity or two. I'd say, in terms of connections made, I couldn't have asked for more. I've been to many a conference in my day, and I can truly say never have I felt more at home than I did at this one. Thanks DBC, I can hardly wait until next year. 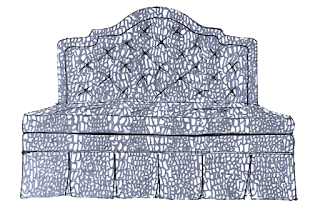 Still not a Dwell by Cheryl blog subscriber? What are you waiting for? Simply enter your email address and immediately check your email for the subscription confirmation. It's that easy. Enjoying the blog already? Share this post with a friend. Cheryl another great post. Can't wait to read more! So glad you had such a wonderful time and glad it was fruitful! Thanks so much Connie and April! Had a fabulous time. Thanks Courtney! It was great meeting you too!